LED Glostix Tubes are for the Serious Car light enthusiast. The stunning power of LED's for interior car lighting! LED Glostix Tubes have -Solid OR Scan Settings, and Music react Mode! 1 Million Hour LED Life! LED Glostix Tubes will either glow solid or scan with a flip of a switch. All necessary instructions and hardware are included to ensure a smooth installation. 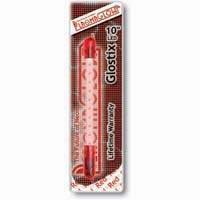 LED GloStix are ready to go right out of the box and include in-line fuse protection. They can be plugged into a cigarette lighter adapter or be permanently installed with a simple 2-wire installation. GloStix tubes are waterproof, sealed in a high-impact Lexan tube for guaranteed durability, and are backed up with the PlasmaGlow Liftime Warranty! All LED Tubes come with a Control Box to switch between Scanning modes, solid mode, and music react mode. The LED Glostix Tubes come in three different sizes of 10, 15, and 24 inches. LED Glostix Tubes- Back to Home Page.